This entry was posted in General News and tagged president on August 4, 2012 by Wire Eagle. AUBURN UNIVERSITY – Henry Hanly Funderburk Jr., who served as Auburn University Montgomery’s first chancellor and as Auburn University’s 12th president, died Saturday morning. He was 81. Visitation will be held Wednesday, Aug. 8, at 10 a.m. at Frazer Memorial United Methodist Church in Montgomery followed by a memorial service at 11 a.m. with the Rev. Tim Thompson and John Ed Mathison officiating. Burial will be private. Born June 19, 1931, in Carrollton, Ala., Funderburk received a bachelor’s degree in agricultural sciences from Auburn University in 1953 and joined the U.S. Army as a first lieutenant. He served for two years in field artillery and returned to Auburn where he earned a master’s degree in botany in 1958. After receiving a Ph.D. in plant physiology from Louisiana State University in 1961, Funderburk returned to Auburn as an assistant professor. In 1967, he became the assistant dean of the Graduate School. In 1968, Funderburk was appointed vice president and chief administrator of the newly created Auburn University Montgomery, charged with the responsibility of establishing a degree-granting institution. He served in this position until 1978 when he became the school’s first chancellor. Auburn University Montgomery offered its first class in the fall of 1969 in temporary facilities on Bell Street and moved to its current location in east Montgomery in the fall of 1971. Funderburk authorized the addition of athletics at Auburn University Montgomery in 1975. Funderburk served as Auburn University’s president from 1980 to 1983. 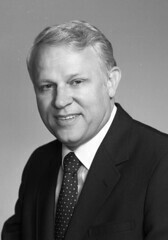 In 1985, he became president of Eastern Kentucky University.